Come midday, the brick sidewalks of Granby Street echo with the taps of stilettos and leather-soled shoes of Norfolk entrepreneurs on the hunt for an afternoon bite. Some weave in and out of the historic drive’s eateries with carefully packaged to-go containers, while others greet their colleagues with a handshake as they sit down to a leisurely lunch. We followed suit of the city dwellers who fancy booths over brown bags and ducked beneath the bright blue awnings of 219 Bistro and into the main dining room. The corner restaurant is made up almost entirely of windows, offering guests nearly panoramic views of Granby Street and Brooke Avenue. Gathered around the bistro’s wooden tables were men donning fitted button-downs and women in colorful blouses, all of whom were enjoying an appetizing respite from the confines of their respective workspaces. Preparing for a business lunch of our own, we settled into a booth in the heart of the restaurant. One side of our booth overlooked the bustling cityscape of Downtown Norfolk while the other offered a glimpse into 219’s elevated bar. 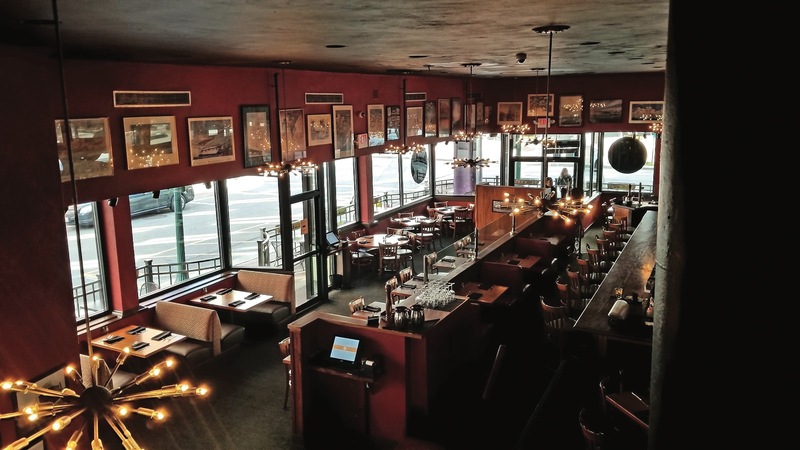 Crowning the bar and the bistro’s remaining perimeter is a collage of vintage Harborfest posters dating back to the mid-1980s. The old-school artworks and polished wood accents give 219 Bistro a nautical feel that perfectly mirrors the history and beauty of Norfolk’s waterfront community. After sharing brief updates on life and fall travel plans, we dove right into editorial matters, as well as our entrees. Up first was a turkey pesto sandwich stuffed with melted mozzarella cheese, shredded lettuce, fresh tomato and a slightly sweet slathering of honey roasted cashew pesto. 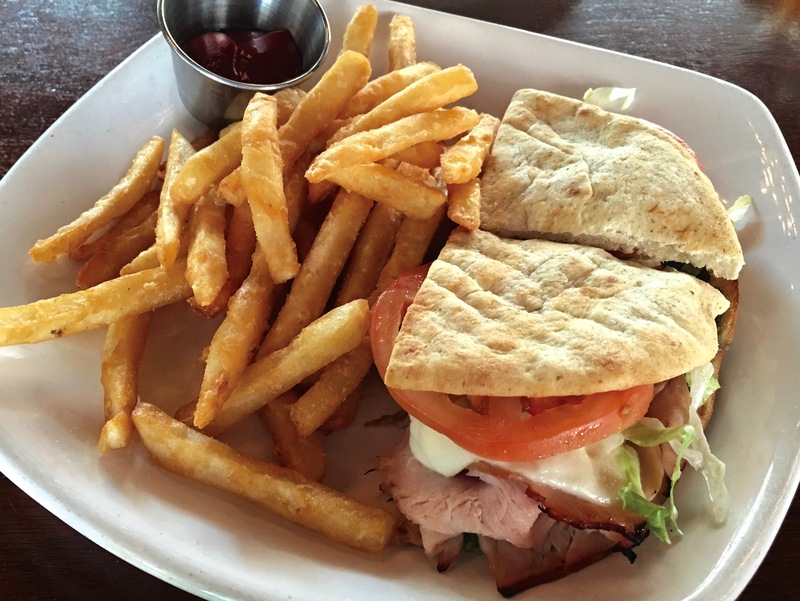 Like most dishes on the 219 Bistro menu, the grilled pita sandwich was satisfying in flavor and familiar in presentation. 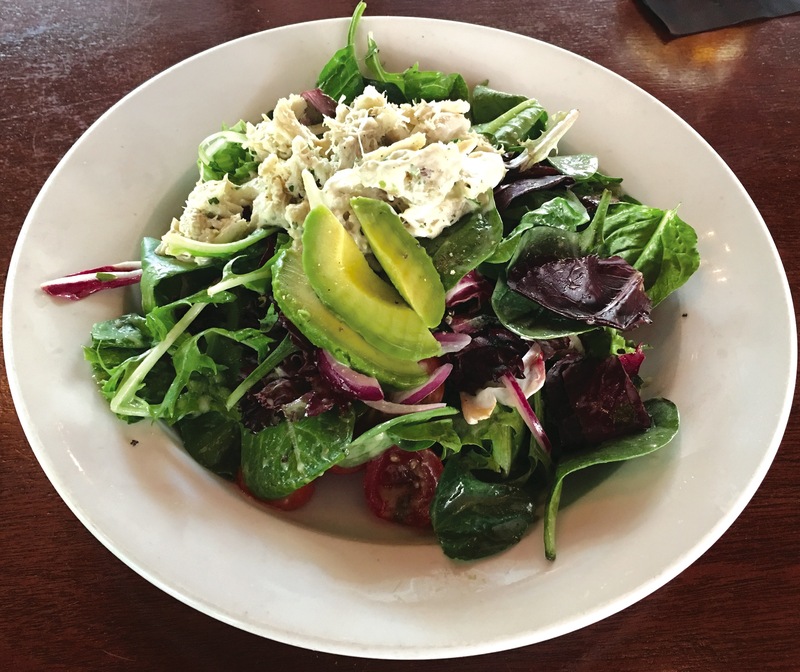 The second dish boasted a vibrant assortment of mixed greens, sliced avocado, cherry tomatoes and red onion topped with jumbo and lump crab meat and a drizzle of house-made citrus remoulade. Despite its leafy nature, 219’s Lump Crab Salad is sure to satisfy even the hungriest of business men and women. To prolong our lunch break, we did exactly as the menu suggested and inquired about the bistro’s handmade desserts. 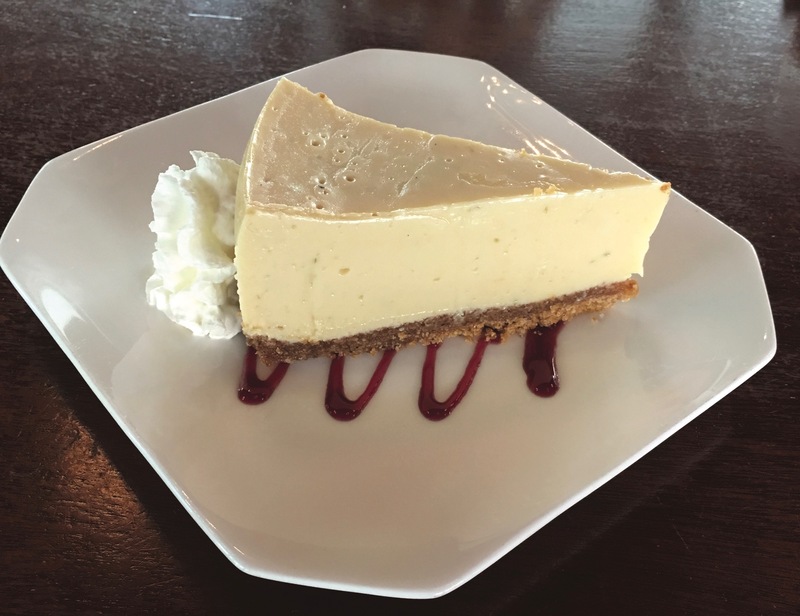 We caved on both of our cravings for chocolate and citrus and requested one order of Bailey’s chocolate mousse and a slice of key lime pie. 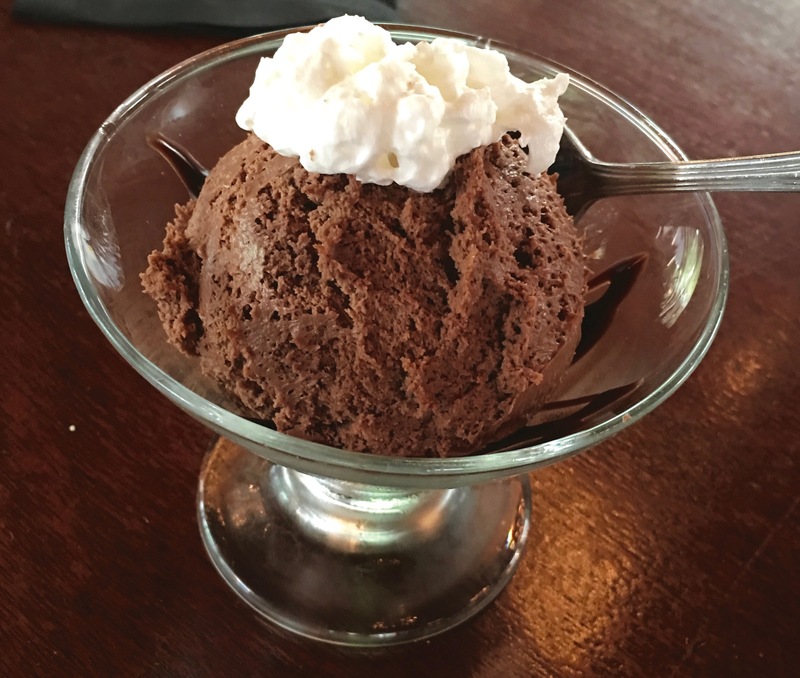 The mousse was denser than some, presenting a decadent chocolate flavor. The Florida-inspired pastry was equally delectable with its creamy, tart filling and crumbly graham cracker crust. We cleared our plates, save a few bites of pie, and paid our tab. 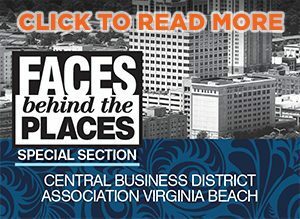 We then followed suit once again and rose with our fellow professionals to follow the brick sidewalks of Granby Street to our next destination.